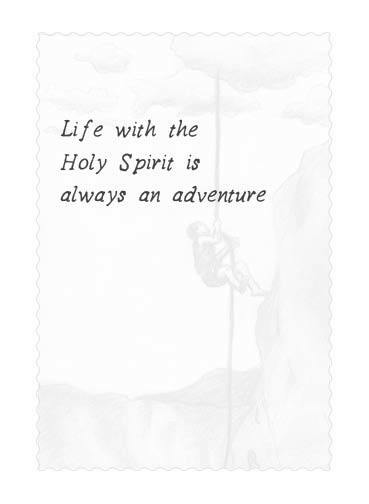 A Rock Climber with his belay going straight to the clouds is being led by the Holy Spirit. 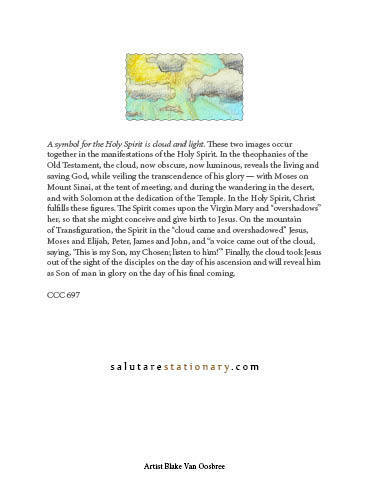 The back of the card includes an amazing selection from the Catholic Catechism paragraph 697 about the history of the cloud and light symbolism of the Holy Spirit. 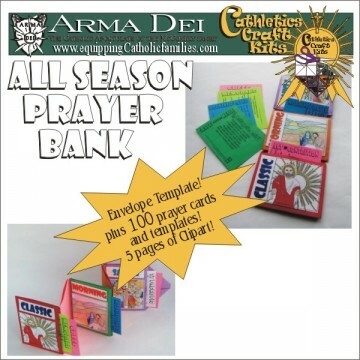 Card is size 5″x7″ and includes a red envelope. Artist Blake Van Oosbree. 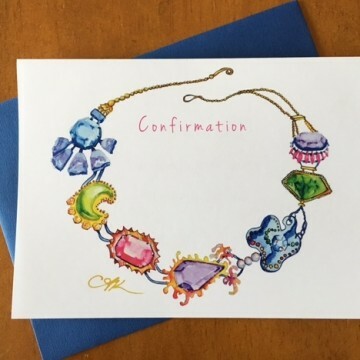 Confirmation card inspired by Blessed Pier Giorgio Frassati. 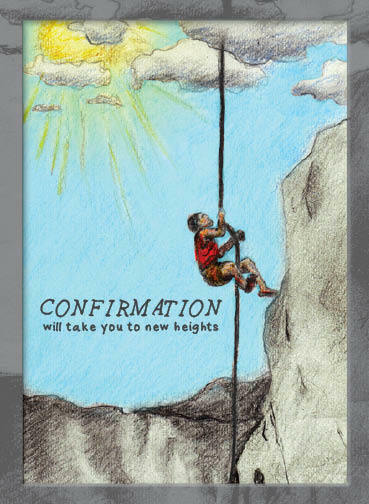 Confirmation will take you to new heights. 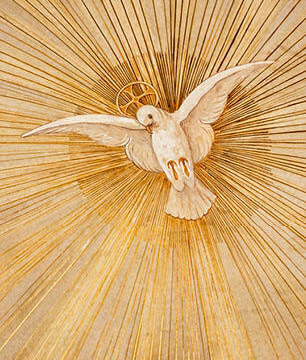 Life with the Holy Spirit is always an adventure. 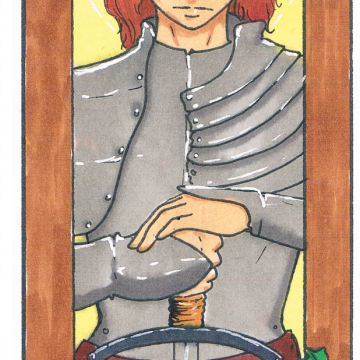 Original card produced by MN based company of a team of artists. Printed in Iowa.